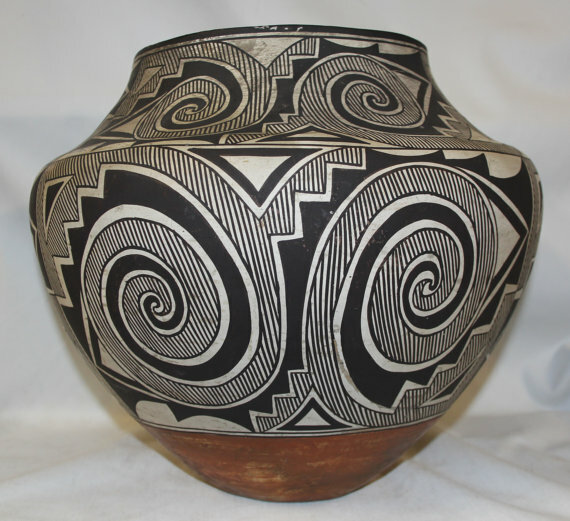 Large Acoma Olla. 11.5" tall, 14" diameter. Tularosa design in black and white with a red base and interior. Fine hatched and solid geometric layout. Late 19th century.